This is the second article in Poverty Reduction. In the first article we spoke about what poverty is. We discussed that poverty is about deprivation and about whether humans can fulfill their human capacity. 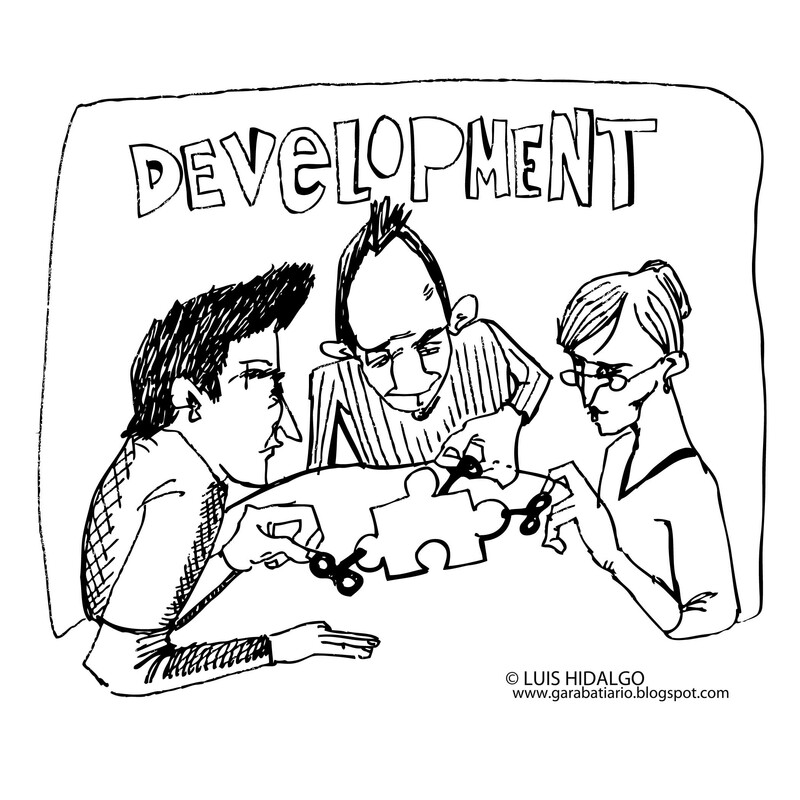 Consequently, what, then, is development? How to define development? Let’s put a few countries next to each other to illustrate exactly that. That’s an easy one. Many people know the Netherlands and most of us have a positive association with it. We think in wooden shoes, windmills, tulips, (weed), euthanasia, “gay marriage” or equal marriage. We think about Amsterdam, prostitution, and many countries actually compliment our healthcare (though I don’t agree in that, but sshhhttt that’s a huge topic on its own). The Netherlands is one of the most developed countries. The poverty rate is low (hence not many people have serious deprivations), the education standard is high (a couple of high noted universities on global lists), a well functioning democratic government with a stable monarch as head of state, good public transportation system and there (still) is a relatively good system for the people who cannot manage. The problems the country has, typically really are #firstworldproblems. We can conclude that there is a good functioning society, a, by law, fair amount of equality, and people have pretty much all rights, including ‘the right to die‘. Actually, this also is an ‘easy to grab’ country, like The Netherlands, but in total opposition. Zambia is a sub-Saharan country in the south of the African continent. I had the privilege of going there in 2013 (some experiences of that trip can be read here and here). On the one hand, Zambia is knows for its copper production and especially for specialized wild life tourism. Specifically, for the ones who wishes to see the ‘Big 5‘ (and some f*cking retards go there to shoot the same animals most of us admire). There has been a stable democracy since independence, though I don’t know how many years for the leading party is in power I have to admit, but, there were no violence, no civil wars, none of that at all. Zambia is a big country with a few urban areas (rapidly growing) yet the great majority of the people are rural. And. they. are. poor. There is hardly infrastructure, many things are broken, don’t exist, education is there but the standard and completion of education needs improvement. There are some doctors, some clinics available but for real treatment you do need to go to a bigger urban place (which many people simply cannot afford due to loss of work both by the sick and care giver). The incomes are very low, diseases widespread, the people are vulnerable to climate change and price changes in food. Many houses are made from mud, or self-made in the sun baked bricks and many cook on wood. Hence, forest are cut back a lot for charcoal and fire wood production. Population is sparse, there’s not a strong civil society and safety systems for the poor are hard to find. However, when you do have money, you can have a western lifestyle and enjoy air-conditioned malls. Malaysia is, as we often say it, a ‘transition country’. They have as goal to be a ‘developed’ or ‘industrialized’ in the year 2020, and, looking at ‘Klang-Valley’ (a very large urban metropolis where Kuala Lumpur (capital) is part of), it looks like a very reasonable goal. I know I should look at people and not at numbers, but, now I cheat a bit, in Klang-Valley are many people living in urban areas with the majority living on ‘living wages’, which is much higher than the minimum wages, which again is higher than the national poverty line, which I will come back to in a later post. Thus, Malaysia is almost there, but, looking rationally, maybe also not. There is a lot of environmental damage due to illegal logging and clearing lands for palm oil fields, there is local corruption, there is a high doubt as how the current PM got millions of ringgits (local currency) in his own bank account coming from taxpayers money. The ruling party is ruling from almost just after independence, the voting results are not on popular votes but on a ‘working together’ principle, in which the ruling party, obviously, always will win. The agricultural states, such as Kedah, have many rice fields, the rubber fields are out of business due to a falling rubber price, and those lands are sold off to real estate developers who build overpriced buildings (UGLY TOO) for the upper middle class to live in. The workers of the former fields? They just have their shacks somewhere without attention from any government for reintegration in another form of employment elsewhere. Anyway, this middle class does have access to finances, have bank account, can loan money and basically every bigger spending is with borrowed money. I participate in it as well with the car we have. 10% down payment (not totally true, our down payment was much bigger but the rule is minimum 10%) and the rest is financed for the next 9 years with quite some (arbitrary) interest rates. There are big malls, there is, in Klang Valley, good public transportation, energy is reliable, good education and most of the people are beyond agriculture, but, “it’s not there yet“. Traveling between, lets say, the Netherlands and Denmark through Germany, then culturally it is relatively the same, politically different, but, you ‘get it’, there is an understanding on how things are working which don’t need much explanation. Thus, moving between those countries is easy. That feeling is not the same between Malaysia and the Netherlands, but, it is totally incomparable between the Netherlands (or Malaysia) and Zambia. Hence what development is, leads to more questions than defined answers. In the comments you can write your definition of development and in each of the definitions is truth one way or the other. One official definition that passes by regularly speaks of sustainability. Or the capacity for an individual, household, area, nation, to overcome shocks without losing anything. A shock can be, loss of job, natural event (hurricane, flood, drought). Of course a house can get lost, but, a household is sustainable when it can rebuild the house and doesn’t become homeless, or that farmers can use savings when a harvest fails versus going out selling assets and start begging. It also refers to the natural environment. Also the natural environment should not lose anything. Think about cutting forest for soy fields, loss of livelihood for tribes in the Amazon. Furthermore, and lastly, sustainable development is multiple generations. We are not only responsible for ourselves but also for the unborn generation. They need to be better off than the previous generation, and that my friends, is becoming a serious challenge due to climate change (that’s another post). The traditional view on ‘development’ is projecting how Europe got developed on the rest of the world. The physical conditions are very different: climate, seasons, political structures, tribes, slavery, colonization, power of institutions, and the list is long. In Europe that was not a point. We followed a pathway that in the beginning by far the great majority of the few people worked in agriculture (including fishery). By scaling up production and advancing in technology, fewer people were needed to get the same results or more. Thus, the surplus of people could specialize in other markets that are more profitable, thereby getting richer and more ‘developed’. Trading, constructing, inventing new technologies to name a few. Especially after the industrial revolution urbanization happened rapidly and political reforms were at hand too starting in the UK. The separation of power between the church and the state and the introduction of private ownership. Still, the concept was Commodity – Money – Commodity. A fisherman fished, sold his fish on the market to get money to buy something else. Later in the 19th century that concept changed to a capitalist system in which there is Money – Commodity – Money. People with money invest it in bricks (houses) to make more money from selling the houses. The former (CMC) yes there was a difference in wealth as not all commodities fetched the same price, but the real inequality really took of with MCM because when you cannot catch the train (making good investments) you won’t have the big money and you will be part of the majority of the people surviving on not that much while the ‘elite’ has. so. much. On the positive note, however, the MCM did make money available for technology, for efficiency and this together with fossil fuel built the economies and developed our societies as it is today. Logically, in a way, is to repeat the example you already have. The different physical conditions (I mentioned above) were put aside and the thought then, 1950ies, was to give ‘them’ what they need so they eventually will catch up with the rest of the world. But let’s be honest: it was not just giving. Countries were just independent, implemented colonial laws as their own, and some countries, like Malaysia and Zambia, still have some of these laws in effect. Furthermore, in many cases, especially the Portuguese in 1975, destroyed so much so the countries were left with 0. Looking at education, for example, that was totally constructed to teach the kids how to serve their masters. That’s it. There was, thus, no new basis for kids to learn all the skills that is needed to rebuild a country in a way that adapts to our way of living instead of continuing or adapting in a form in which they were highly successful prior slave-trade/colonization. Fast-forward a couple of decades. In the 1980ies there was a change. Between the 1950ies and 1980ies were many top-meetings and conferences through the United Nations and their organisations (UNICEF, WHO for example) in which many things were at least on a high political agenda (in which 9 out of 10 objectives/resolutions failed). In 1981 Reagan became president in the USA and Thatcher PM in the UK. They put a huge break on potential progress, thought it was too expensive, governments were too bureaucratic, not efficient and corrupt. Even though the private market wasn’t perfect, yet, they thought, that an inefficient market still was better than an inefficient government because the market always seeks for the balance between ‘supply and demand’ and governments don’t. Thus in order to get new money for developing countries, they had to sacrifice a lot. Basically they gave away their sovereignty to development banks in which we invested. Government departments were closed, made small, and whatever regulation was there on paper, for sure it couldn’t be implemented. Subsidies for farmers? Cancelled. State run hospitals? Minimalized. Education? Huh?? Environmental protection? Environment… do you have that? You get the picture. Oh but! Heavily subsidized western produced food as aid? SURE!!!!!! (as long as it comes from a corporation that is). The point is, and I hope that you see this now, “Development” is western orchestrated/designed mainly from a commercial point of view in which the role of the state was minimum. Till late 1990ies early 2000s with the start of the Millennium Development Goals and now the Sustainable Development Goals. I won’t elaborate on those 2 now as I will dedicate other posts on these initiatives. The second point I hope you to see is that the idea/sentiment/feeling that we throw money into a dark hole called “development” without that it gives any returns is completely false. It is not their fault they couldn’t ‘deliver’ it was made impossible! Previous colonized countries were left with a debt from their colonizers. Then they had to borrow money, at a huge interest, to finance that debt and that still till today is not solved for the poorest countries which is home for at least 1.000.000.000 living human beings. In part 2 in “What is Development” I will discuss the different development institutions, approaches, and another controversy!